The cutest little Christmas Tree that is sure to spread the holiday cheer. Six chocolate and six vanilla cupcakes festively decorated for Christmas and topped with a sparkly cookie star. 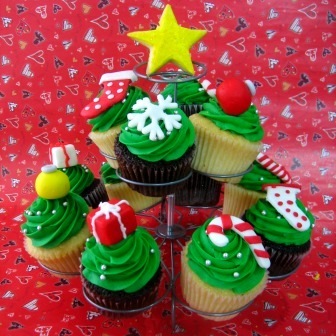 The Christmas Tree set includes the cupcake stand that holds 13 cupcakes.